City of Perth Mayor Lisa Scaffidi recently said a review of a local law that charged personal trainers a flat rate of $75 to use parks and reserves was likely. Scarborough-based personal trainer Travis Sawyer once criticised the City of Stirling for charging personal trainers to use reserves. Summer rates start at $425 for up to four people to $1300 (25 people), with rates reduced by $200 in winter. 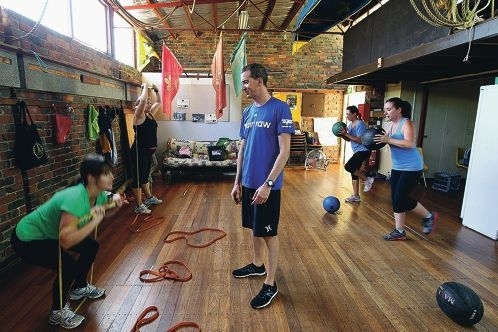 City manager of recreation and leisure services Michael Quirk said it was ‘fair and reasonable’ to seek application and charge personal trainers using public assets for commercial gain, and the policy was supported by Australia’s peak body. ‘From the City’s perspective the continuation of this policy is necessary to ensure the effective management of such recreation spaces as not all parks are suited to group training sessions,’ he said. ‘The licensing process ensures the sites requested are not overbooked, are suited to the intended use, relating to the number of participants and the proximity to residential properties for early morning sessions. ‘We ensure persontrainers are allocated suitable spaces for their activities and we also ensure demands for popular locations can be effectively managed.